Before, the throttle control was a mechanical system that used a cable attached to the gas pedal and into the body of the throttle. You press your foot down, the cable opens the throttle plate and more air enters the engine. Today, the drive-by-wire system replaces all that with an electronically controlled process. Instead of using a cable, an electronic system is implemented that uses performance chips, potentiometers and advanced electromechanical actuators. A pedal position sensor is used at the gas pedal to determine its position. This sensor tells the computer what position the pedal is in and signals any changes that are made as well. The one big limitation is that drive-by-wire is actually slower in response compared to the cable. 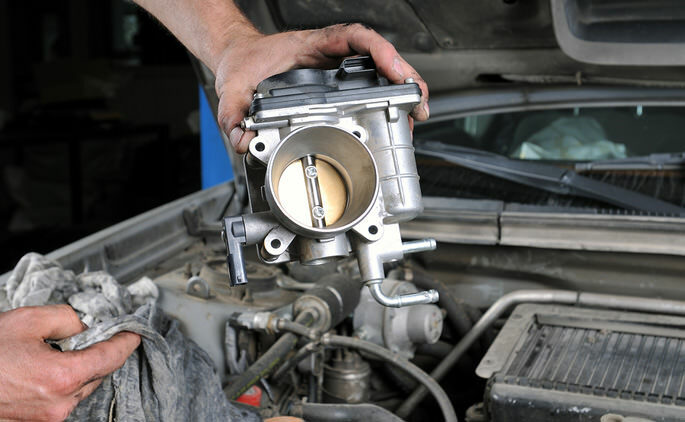 However, there is a new type of throttle controller that helps overcome this particular issue. This particular throttle controller replaces the one in your vehicle and solves the issue of delayed reaction between the time you press on the pedal and the throttle reacts. By using a high speed controller circuit, the information is sent directly into the computer using the OBDII port that is located under the knee bolster on the driver’s side. By sending the information straight into the computer, this system bypasses the vehicle’s computer and allows the throttle to react in a quicker fashion. Plus, you can actually program the controller to help time the reactions so that it can be a little or a lot faster. For those who want better control over their throttle, this is certainly the device to get. Connecting the Weapon-R I-Throttle Controller is simple as long as your vehicle is compatible with drive-by-wire technology. The safety of the new throttle system is also taken into account as well thanks to fail safes found in your computer. This means that if it detects any issues, it will override the I-Throttle controls so that your acceleration will not get out of control. For those who want more control over their throttle, the I-Throttle from Weapon-R is certainly a simple, safe and straightforward consideration for drivers who want more “oomph” in their vehicles. ShopPMLIT offers a great selection of lighting automotive parts and car accessories for your vehicle. Our extensive online catalog features lighting car parts and systems that use CCFL, Plasma and LED technology. From standard auto-lamps such as headlights and taillights to specialized lighting auto parts such as custom headlights, projector headlights, halo ring lights, angel-eyes, fog-lights and custom modifications, ShopPMLIT has the auto-lamps you want at low competitive prices. Let ShopPMLIT be your one-stop-shop for the best in auto lighting parts and accessories for your vehicle. For most makes and models of cars and trucks, ShopPMLIT has the products for your automotive lighting needs.